[Free Pattern] The Most Adorable Crochet Heart Keychain Ever! This lovely crochet afghan with little 3d flowers in beautiful spring colours popping out is distinguished by its originality and charm. 3D Flower Afghan by CrochetDreamz is simply beautiful and joyful and a great way to celebrate Spring. 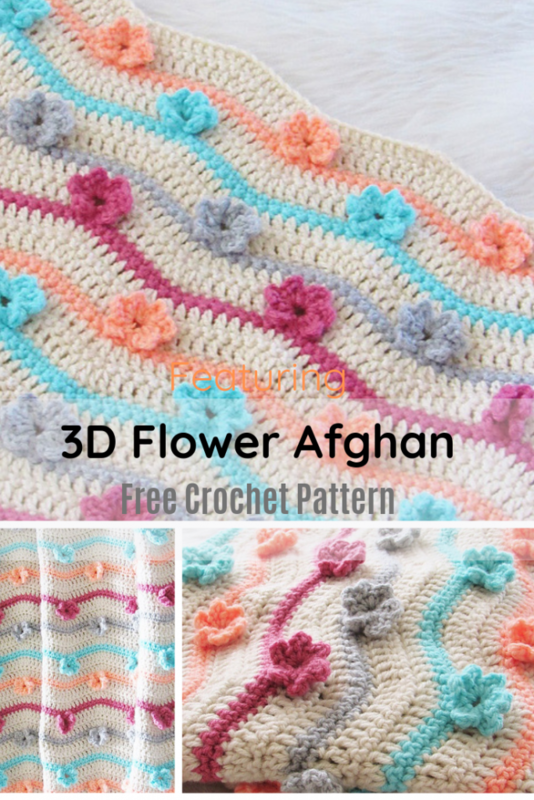 Make your own afghan with 3 d flowers in vibrant and shining colors that make them just as fabulous as real flowers. Any worsted weight yarn in 5 colors of your choice. Caron One Pound yarn in colors Off White, Peach, Robins Egg, Soft Gray Mix, and Rose were used for the sample Afghan. 38-1/2 inches wide and 44 inches long. You can adjust it to any size you want. 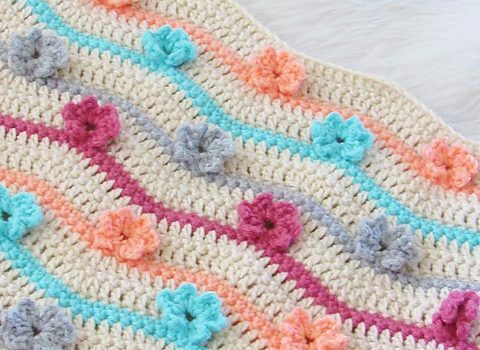 Get the Pattern —> Adorable Crochet 3D Flower Afghan Free Pattern. Thanks to Shehnaaz, for the article inspiration and featured image.